After a substantial refurbishment in 2005, our Village Hall provides a modern clean venue for a wide range of activities and has liquor and entertainment licences. With up to ten tables and sixty comfortable chairs, it measures approximately 45ft by 25ft and in addition has a stage at one end and a drop down screen suitable for films and or business presentations via a high definition projector. 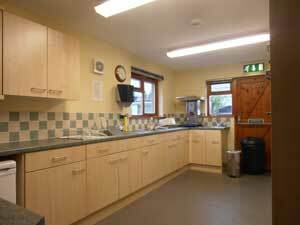 The Hall has a well equipped modern kitchen, disabled access, disabled toilet facilities and a hearing loop system. For smaller meetings there is also our Manor Suite. 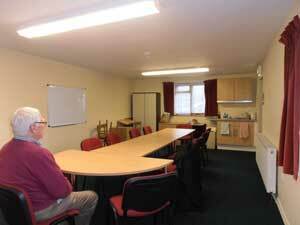 At 25ft x 15ft it is heated, carpeted and equipped with a conference table and chairs, display boards and a white board. This flexible space can accommodate up to twenty people and can be used for a variety of purposes. It is completely self contained with its own entrance of toilet facilities together with a small kitchen. 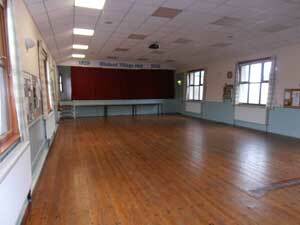 The Hall is conveniently situated just off the Village Green and there is free parking outside. It is just five minutes walk from the award winning Blisland Inn which serves excellent food if required. The main Hall is available from just £20 per session and the Manor Suite from £12 per session.